Little, Brown Books for Young Readers, 9780316298582, 256pp. 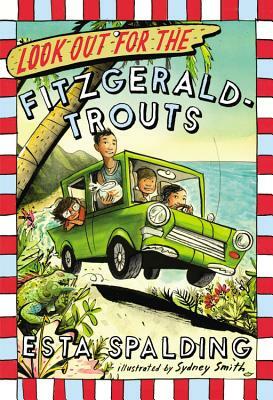 Meet the Fitzgerald-Trouts, a band of four loosely related children living together in a lush tropical island. They take care of themselves. They sleep in their car, bathe in the ocean, eat fish they catch and fruit they pick, and can drive anywhere they need to go--to the school, the laundromat, or the drive-in. If they put their minds to it, the Fitzgerald-Trouts can do anything. Even, they hope, find a real home. Esta Spalding is an acclaimed writer, poet and screenwriter who is currently at work adapting Kate Atkinson's novel Life After Life for Lionsgate Films and Jennifer Egan's novel A Visit from the Goon Squad for Sundance Television. She has garnered awards for her film and television work, as well as for her prose and poetry. This is her first middle grade novel.